In the traditions of central Africa, as in many other parts of the world, ties to notable ancestors have been maintained through preservation of sacred relics. 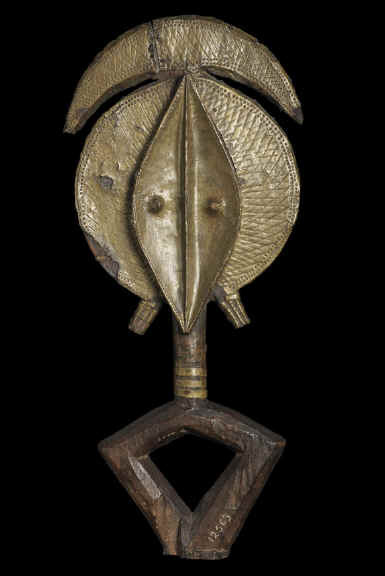 The exhibition opens with a series of comparisons between celebrated sculptures, such as 19th-century Fang reliquaries created in Gabon with works from the Metropolitan’s superb medieval and Asian art collections. These comparisons afford a unique opportunity to appreciate conceptual parallels between some of the most exalted expressions of devotional art in the history of Western, Eastern, and African civilizations. Exhibition Catalogue - The illustrated catalogue Eternal Ancestors: The Art of the Central African Reliquary – with essays by specialists in various fields – will accompany the exhibition. Published by The Metropolitan Museum of Art and distributed by Yale University Press, it will be available at the Museum’s book shops for $65. The catalogue is made possible by The Andrew W. Mellon Foundation and the Doris Duke Fund for Publications. The exhibition is organized by Alisa LaGamma. A variety of educational programs will be presented in conjunction with the exhibition, which will also be featured on the Museum’s Web site ( www.metmuseum.org ). For the last news about ancestral origins you should join our African Art Club and become an insider of the African art market.